Fine china dessert plate made in Poland by Wawel. This 7.5 in. 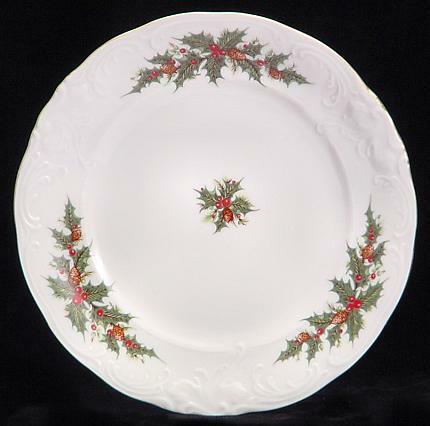 Christmas Berry dessert plate is a festive addition to any Christmas Tea. Spruce up your own white china set with these beautiful Christmas plates or add them to your Christmas Berry Tea Set. Hand-painted with gold trim.